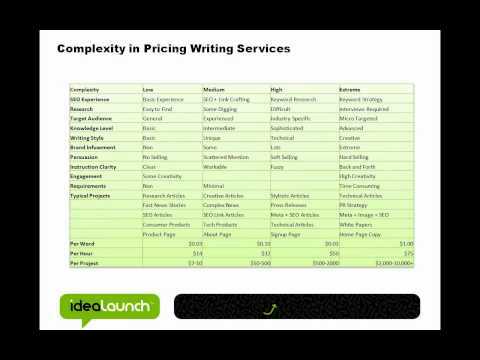 This month's webinar focuses on how to price quality content fairly. The projects we'll be discussing range from $10 blog posts to $50,000 writing projects backed by 300,000+ projects we've completed over the years. And we'll give you the summary on what we've learned, and how to arrive at a fair price based on best practices and general trade conventions. You'll get the first copy of our new WriterAccess Guide to Projects and Prices that we're beta-launching the day before this event. We'll be inviting attendees (both writers and customers) to offer feedback on the new guide we'll send to all registered attendees. And we'll poll everyone in the Webinar as part of our beta launch. Special guest panelists will chime in and share thoughts and advice on our new pricing structure.